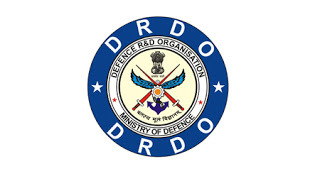 DRDO Jobs Recruitment Notification 2019.Defence Research and Development Organisation, DRDO inviting applications for the positions of Junior Research Fellow.Interested and Eligible candidates can apply for the positions. 5. Essential: Post graduate in Engineering (ME or M Tech) in first division (both at graduate and post graduate level) in the field Structure/Geo Tech OR BE / B Tech in first division with NET/GATE in the field ofCivil Engg. 2. Desirous candidates appearing for a walk-in interview are required to report at SASE-RDC, Chandigarh as per the following schedule:- (i) Applications would be accepted up to 1000 hrs. (ii) Initial screening and verification of testimonials would be done between 10.00-11.00 hrs on the respective interview Date. (iii) Interview of the screened/short listed candidates would take place from 1100 hrs onward. Walk in Date: 30/04/2019.